Since the inception of the July 7th Truth Campaign in 2005 by a dedicated and independent group of researchers, we have been careful to adopt a serious approach to our research and conduct all our research through official channels while maintaining the utmost respect for the victims, the injured and the bereaved at all times. Over the course of the last nine years J7 has ensured that our inquiries to get to the truth about what happened on 7th July 2005 are deliberate, concise and aimed at uncovering specific pieces of information that have not or would not have been available in connection with the story of 7/7. J7's research is widely regarded and respected to the extent that our research and publications were cited at the opening of the official 7/7 inquests and referenced again at the close of the inquests process. Our factual submissions to the inquests can be viewed here. The July 7th Truth Campaign has never supported, encouraged, nor even seen the need for mindless publicity stunts (see addendum here) that ostensibly purport to bring attention to the many still unanswered questions about the events of 7th July 2005, and nor will we ever. 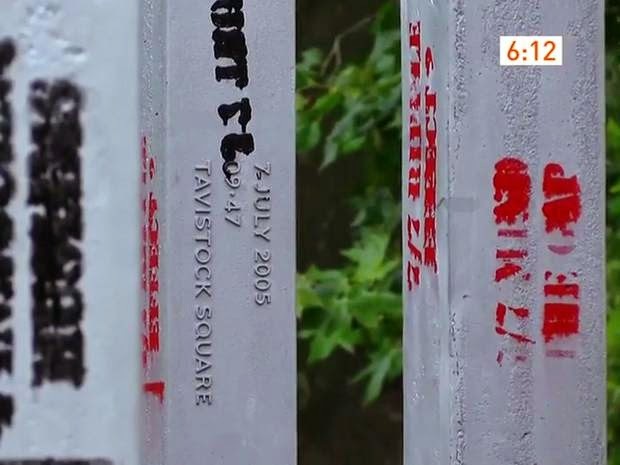 We categorically condemn the idiotic stunt of defacing of the 7/7 memorial in Hyde Park on the eve of the ninth anniversary of 7/7, the only outcome of which can be to alienate survivors and the bereaved. Such ill-considered and blatantly offensive antics can only serve to cause upset, inflame emotions and further confuse the issue of what happened on 7/7 while smearing the good name and good standing of the July 7th Truth Campaign and our research. J7 continue to tread the extremely narrow path between the State's still unproven narrative orthodoxy and the transparently lunatic fringe of the 7/7 Ripple Effect disciples, who appear convinced that they know what happened after watching a film by someone who claims to be a messiah and the rightful King of Britain and Israel. 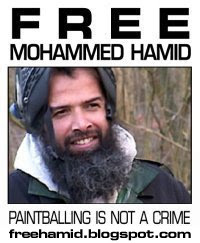 No supporter of the July 7th Truth Campaign would ever promote such evidence-free films that fabricate their own equally implausible narratives, nor any media or articles that purport to offer the truth about the events of 7/7. Despite 9 years of ongoing research, the July 7th Truth Campaign has repeatedly stated that that there exists insufficient evidence in the public domain for the truth to be known. As is the way of J7, we will continue to ask the correct, difficult and unanswered questions about the events of 7/7 instead of proposing answers for which there exists as little supporting evidence as there does for the official narrative.